Overview of The Addiction Center of Broome County, Inc. Established for its sole purpose, The Addiction Center of Broome County, Inc is one of the most reputable health care providers in Binghamton New York. The Addiction Center of Broome County, Inc is located in Binghamton, a city in New York, and it is one of the best chemical dependency and alcohol use treatment facility in that vicinity. 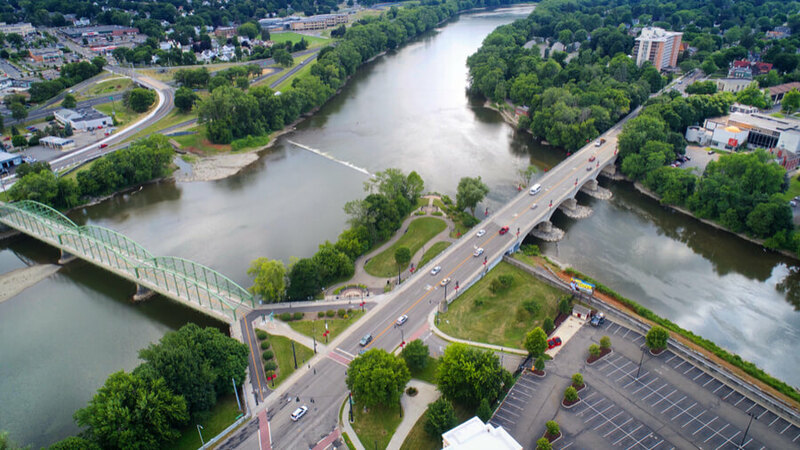 The Addiction Center of Broome County, Inc offers its clients an Intensive Outpatient Program, an Outpatient Program and a Partial Hospitalization Program along with specialized dual-diagnosis treatment. This facility is a private non-profit organization which is licensed by the State of New York Office of Alcoholism and Substance Abuse Services to provide its outpatient rehabilitation and outpatient clinical services. The Addiction Center of Broome County, Inc provides integrated dual disorder and chemical dependency treatment to individuals over the ages of 18. The facility also provides services to individuals and clients who have been affected by their family member’s or loved one’s chemical dependency and addictions. The Addiction Center of Broome County, Inc has only one mission, “to provide state-of-the-art specialized outpatient treatment health care to clients, their families and the people around their clients who have been affected by the chemical dependency of their loved ones”. Their treatment approach is very ethical, competent and effective at the lowest possible rates. Their services are provided to all individuals irrespective of their beliefs, age, sexual orientation, HIV status, creed or race. Their staff comprises of committed and qualified clinicians and therapists who handle their client’s addiction issues individually while coaching them on the best possible way to recover from their chemical dependency. Treatment Options at The Addiction Center of Broome County, Inc. Upon admission into The Addiction Center of Broome County, Inc, patients are required to undergo a psychiatric examination to analyze and determine the actual treatment plan for them. This facility offers group sessions which are essential and crucial for patients starting the program new and are not actually in need of intensive outpatient treatment plans. Patients admitted to The Addiction Center of Broome County, Inc is required to attend treatment sessions which run for 9 hours each week and are drafted by the patient’s needs and time schedules. Each patient is provided with the proper treatment plan which is drafted by the facility’s expert who also supervises the recovery process of the patient to avoid any form of relapse. Therapy Choices at Addiction Center of Broome County, Inc. The therapy choices offered by The Addiction Center of Broome County, Inc. are broadly approved and proven to work on patients in need of rehabilitation services effectively. Each therapy service is administered to patients by highly trained professionals who have lots of years in experience treating patients who require treatment services. The Addiction Center of Broome County, Inc is not a licensed substance abuse and mental health treatment facility. However, their staffs are licensed and qualified team of workers who display acute professionalism in the facility. Established in Binghamton New York by Marty Mann, The Addiction Center Center of Broome County Inc. is a non-profit rehabilitation center that has been influential in the successful recovery of a lot of men and women suffering from substance abuse and mental health disorders. This facility offers an amazing outpatient treatment plan which the staffs employed at this facility takes very serious. Also, patients who speak Spanish are placed in Spanish speaking groups which makes it easy for them to communicate and ease the flow of the therapy sessions. This facility offers an amazing team of staffs who are highly trained hard working experts and are devoted to their job ensuring that each patient gets the right treatment services needed. Staff at Addiction Center of Broome County, Inc.
At The Addiction Center of Broome County, Inc. patients are treated by a team of highly trained and experienced nurses, psychiatrists, LADCs, psychologists, LCSWs and nurses who have been working for years treating patients suffering from mental disorders and substance abuse issues. These experts are licensed individuals who are also board approved and have proven themselves to be one of the best in their various fields. Addiction Resource » Drug and Alcohol Rehabilitation Centers » New York rehabs » Binghamton » The Addiction Center of Broome County, Inc.